How fun is this?! :D I'm pretty jealous right now. haha! Hey lady! Hello again!! 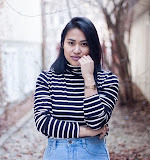 Seriously loving your blog and style. I wanna do a guest feature swap with you. Let me know what you think. Also, I have awarded you the 'Tell Me About Yourself Award'! Check my blog post about it for more info! Thanks for the comment on my blog. Yours is a adorable! Also....how do you get the Independent fashion blogger button? Great pictures! It looks all so colorful and like so much fun! What gorgeous pictures! Your blog is seriously adorable. Thanks sherri for all your help! so cool! I'm so jealous though haha. I wish I was at a fair while it's still warm outside!